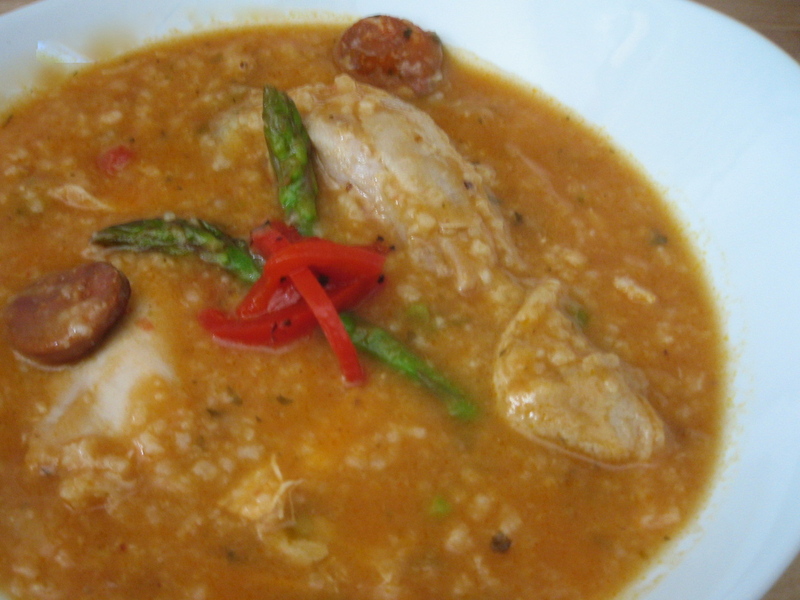 A few weeks ago, a friend gave me a list of Puerto Rican classics to try that included asopao de pollo. As she described it, it’s a Puerto Rican risotto that’s not quite soup and not quite stew. My soups often go to gumbo by mistake so I was curious to know what would happen if I made it that way by design. At Jennifer’s suggestion, I checked my Puerto Rican Cookery book first. I realized after additional searches that there were thousands of recipes for asopao, a one-pot, comfort food solution for family dinners and leftovers. After reading them over, I finally circled back to Carmen Aboy Valldejuli. 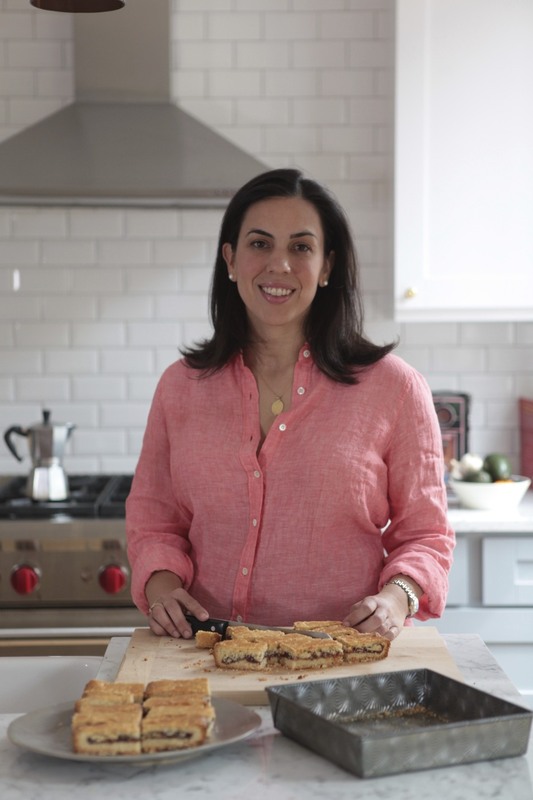 One reason I chose Valldejuli’s version, is that she recommends making your own chicken broth. Actually, she doesn’t recommend it, she just lists it in the recipe as a matter of course. Throw in the neck, save the giblets, get it to a boil, add the broth. I realized that I’d been taking the easy road the last few months, relying on store bought chicken broth, a handy solution but no substitute for the real thing. 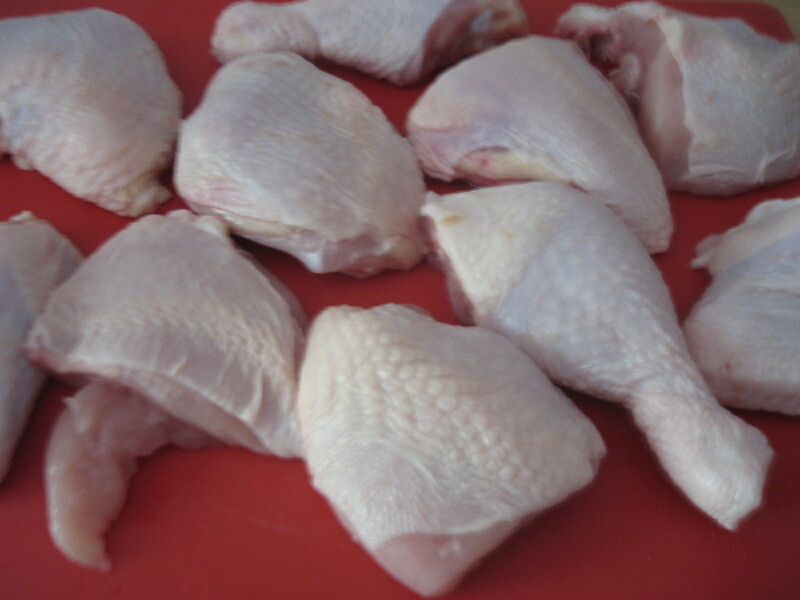 In the same vein of self reliance, I decided to cut up my own chicken. A small feat for most but a big deal for me because well, I’m just that prissy. With a butcher shop around the corner, I’m used to stopping in, placing my order for whatever configuration I need, and heading home with a perfectly prepped chicken and neatly wrapped giblets. That was before I started daydreaming through Thomas Keller’s ad hoc at home where he offers a step by step, beautifully photographed explanation of how to do it yourself. If he’d included sound effects, I probably wouldn’t have tried it. Still, when the snapping stopped, I did know my way around that chicken as promised. While the butchering fad can go on without me, it felt good to know that if trapped on a dessert island (full of chickens) I was one step closer to not starving (provided of course someone else kills, plucks and dresses the bird). Once the chicken was cut into 10 (to my eyes) perfect pieces, giving it a massage was positively soothing. As the broth boiled with the spare parts, I mashed the rub together to season the rest of the chicken. While that marinated, I set to chopping the rest of the ingredients. When I had initially looked over the list the day before, I came across sweet chili peppers or ajíces. 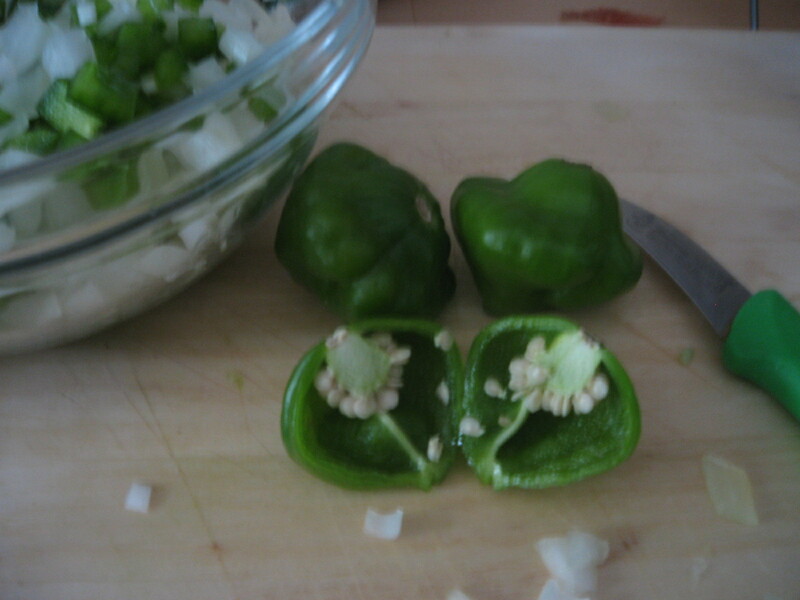 In the past, I’d substituted red or green bell peppers but that didn’t seem right. A staple of Puerto Rican sofrito, I thought it would be worthwhile to seek out. When a local bodega told me it would be impossible to find, I was even more determined. It had been awhile since I’d gone food questing so when I failed in Carroll Gardens I headed to Essex Market in the Lower East Side. The Batista Market there has yet to fail me. Right at the front, they had my peppers, small, green and shaped like habaneros but without the burn. Next to it was the culantro, cilantro’s Latin American cousin that I was learning to do without but was thrilled to find north of Miami. Gathering the rest of my ingredients, I started chopping, filling the kitchen with the scent of green. 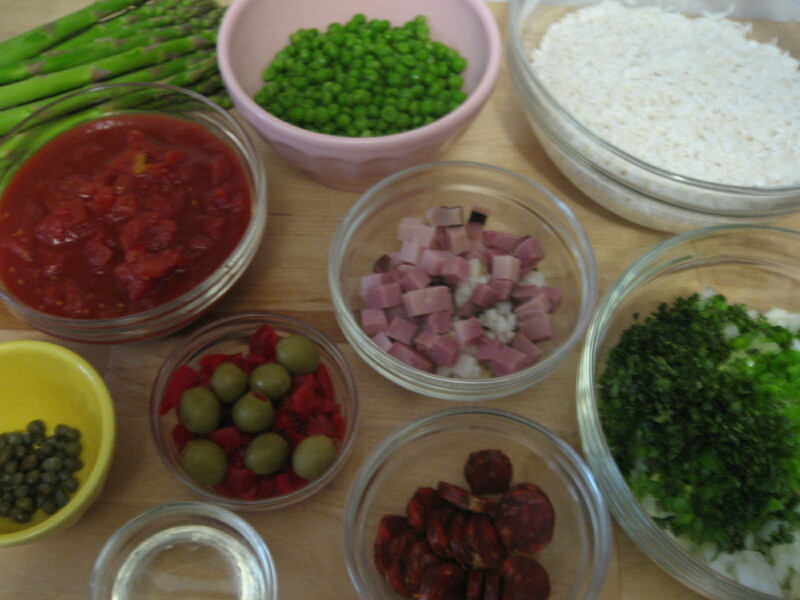 In a few minutes, I’d used every used every mixing bowl I had to prep my one pot meal. From there it was fast – a little heat and a new element every few minutes. Despite my efforts, I let it go a little too long when I added the rice – definitely more risotto than soup and had to add a little more broth to correct it. I was happy that I’d the effort to get it every detail right but, like most things that seem easy, it’s never so simple. Adapted from Puerto Rican Cookery by Carmen Aboy Valldejuli. Set rice to soak in water to cover for one hour. 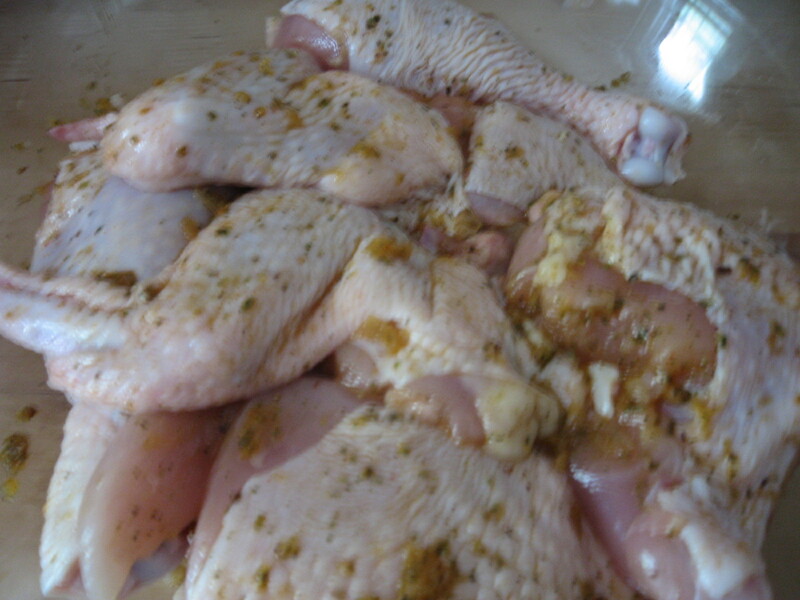 Divide chicken into 8-10 pieces (drumsticks, thighs, breast, wings). Separate backbone, carcass, neck and giblets. Wash both well and set aside. 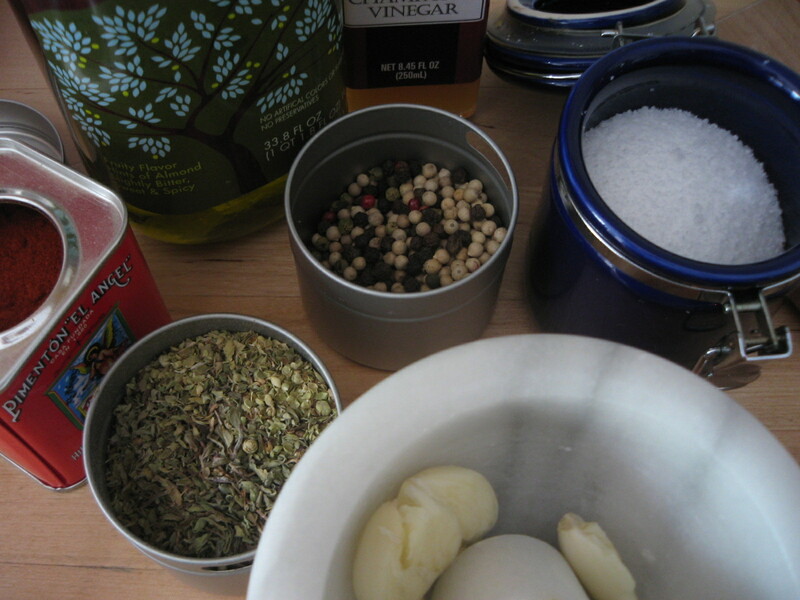 Using a mortar and pestle, mash peppercorns, garlic, oregano, paprika, salt, olive oil and vinegar to a paste. Rub reserved chicken pieces with seasonings. Cover with plastic and marinate in the refrigerator, at least one hour. Add reserved backbone, carcass, neck and giblets to a large, heavy stock pot. Add water and salt. 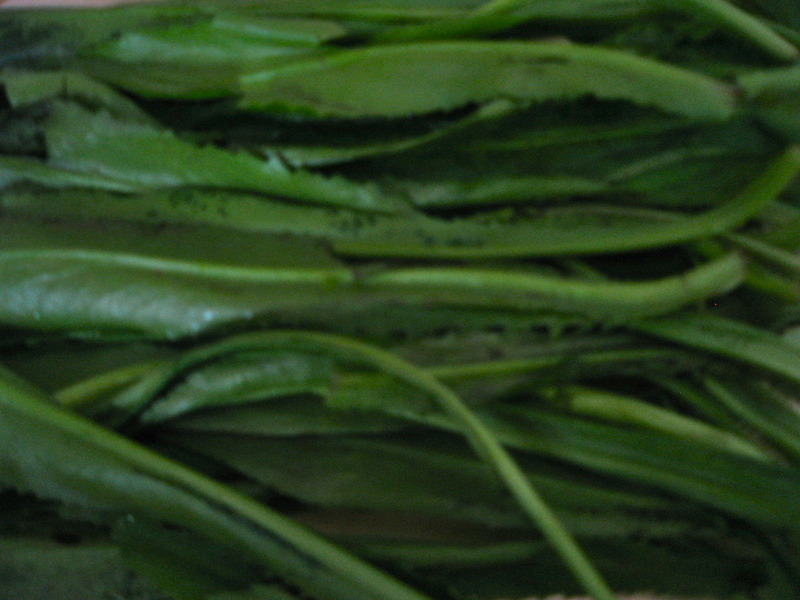 Cover and bring to a boil over medium-high heat for 15 minutes. Reduce heat to medium, and simmer for an additional 30 minutes. Strain and reserve broth and discard carcass. 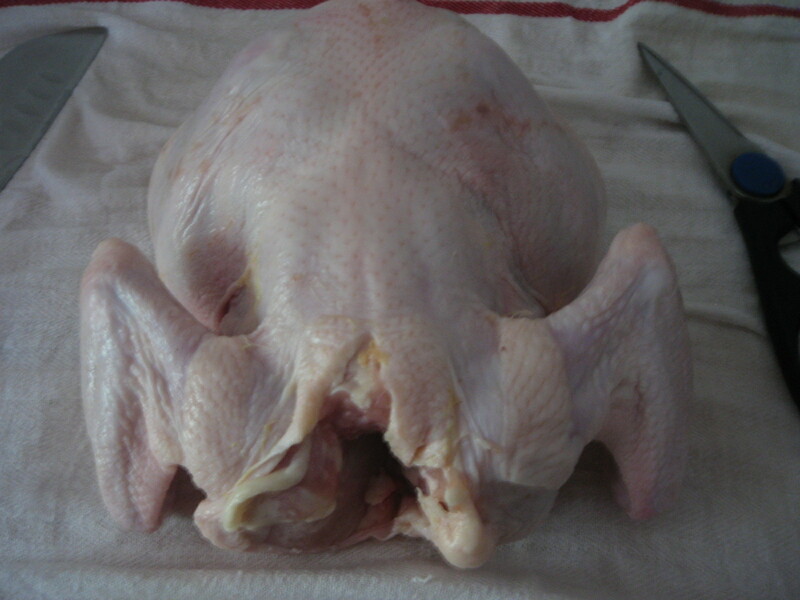 Optionally, the giblets can be reserved to add to the asopao with chicken or discarded. Heat oil in a heavy pot over medium-high heat. Quickly brown salt pork, ham, and chorizo, about 3 minutes. 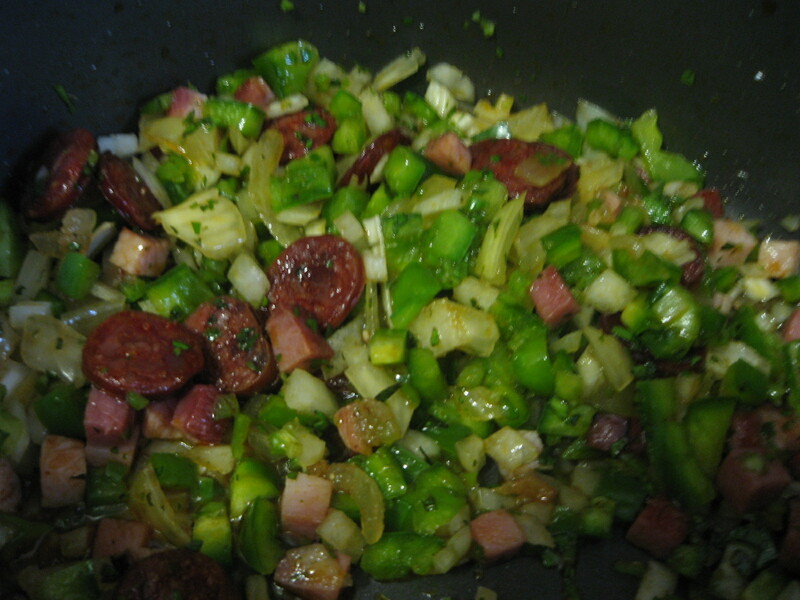 Reduce to low and add green peppers, aji dulce, onion and culantro. Saute and additional 10 minutes. 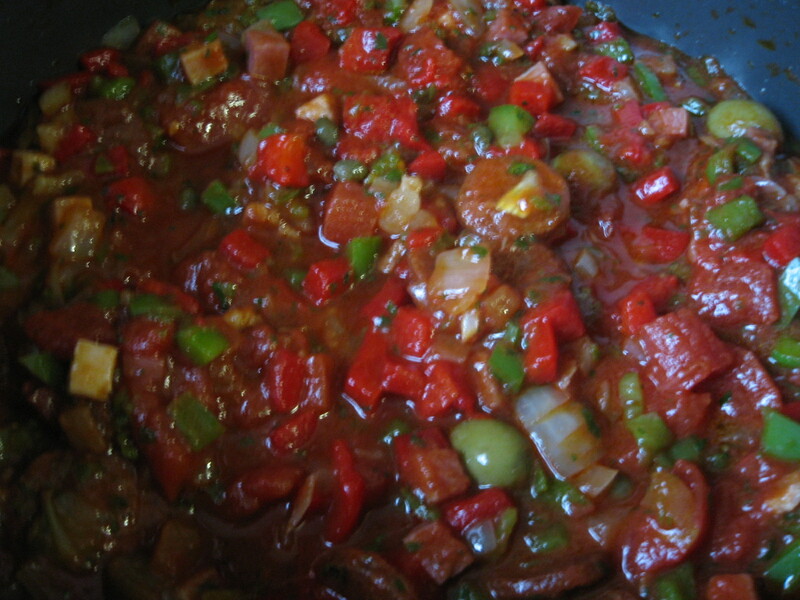 Add tomato sauce, chopped tomatoes, olives, capers, pimientos and achiote if using and saute an additional 5 minutes. Add whole chicken pieces and bring to a boil over medium heat. Cover and cook an additional 30 minutes. Add broth (about 6 cups) and giblets if using and bring to a boil. Drain rice and add to pot. Bring to boil over medium heat. Reduce heat to low, add peas and asparagus. Cover and cook until rice reaches soup consistency. I used to live in Brooklyn and would go to Clarimar for my recao (culantro) and aji dulce for my sofrito. That was about 12 years ago, but they were located in Sunset Park. I can’t remember if it was around 42nd street and 3rd Avenue. Somewhere around there. I don’t know it they are still there. One time my dad neatly packed up a little plant he’d started (with a cardboard collar to hold in the soil in a makeshift terrarium made from a 7 up 2 liter bottle) and sent it to me, along with some recao seeds. (Oooh. Should I say that? Was that legal?) The seeds didn’t do so well, but the aji dulce plant I planted in my sofrito raised bed and harvested tons of the babies, stripping the plant clean before the first frost. In Chicago I can find aji dulce and recao at a few of the markets in the Humboldt Park area, or at Armitage Produce on Armitage and Kimball. I’ll definitely look for it in Sunset Park. 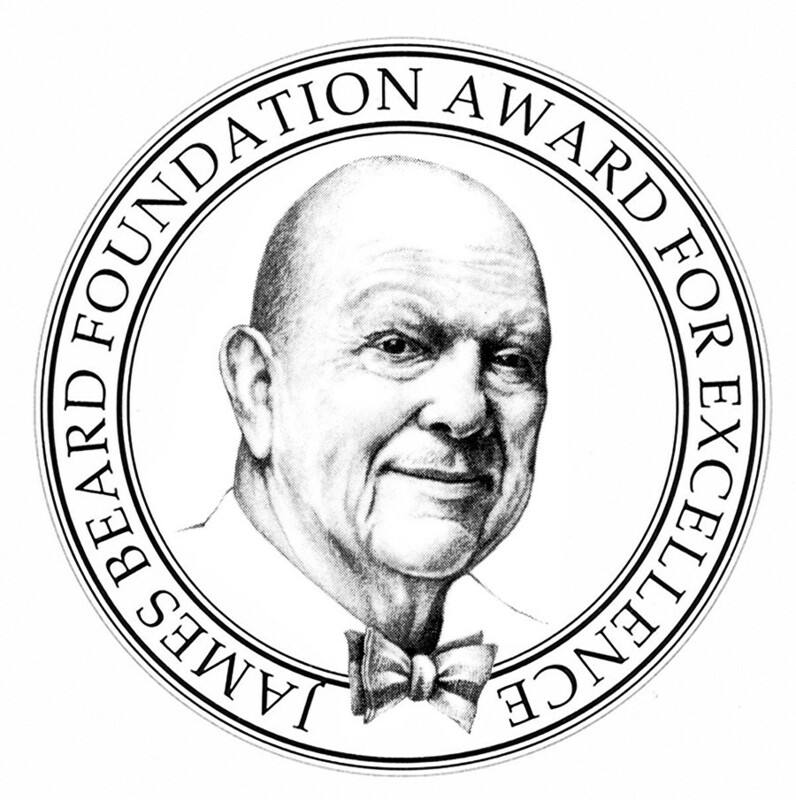 Never thought of growing it myself but maybe I’ll try this Spring!